On his first visit to Lagos, Antoine Hachard partnered compatriot, Gregoire Jean, to clinch the Men’s Doubles title at the 2017 ITTF Challenge Seamaster Nigeria Open. Despite not making it to the podium in the Men’s Singles, Antoine Hachard is eager to make a return to Nigeria’s commercial nerve centre again this year with the hope of exceeding last year’s performance; his name appears on the entry list the 2017 ITTF Challenge Seamaster Nigeria Open which commences with the qualification tournament on Wednesday 8th August. Apart from aiming for a better outing this year, Antoine Harchard is looking forward once again to experiencing the exciting atmosphere inside the Molade Okoya-Thomas Hall of the Teslim Balogun Stadium in Lagos. The Frenchman is clearly delighted to return to Lagos. 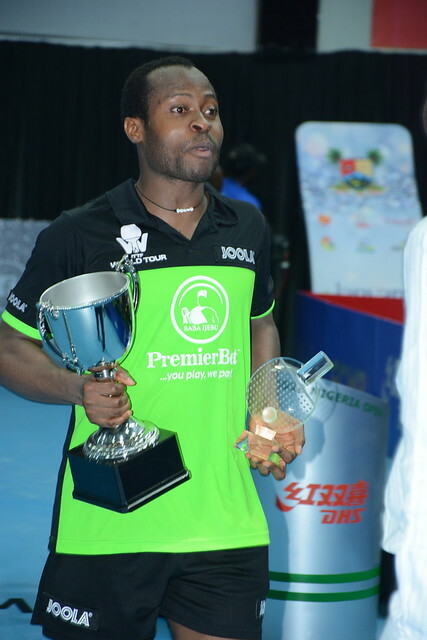 “Last year’s edition of the Nigeria Open was well organised and it was a very special atmosphere because the crowd was totally involved during the matches. I love this kind of experience. This made me to play well and I am looking forward to same experience this year.” Antoine Hachard. The 24 year old is no stranger to Africa but clearly Lagos has a special feeling. In the Men’s Doubles event Antoine Hachard will partner Benjamin Brossier.